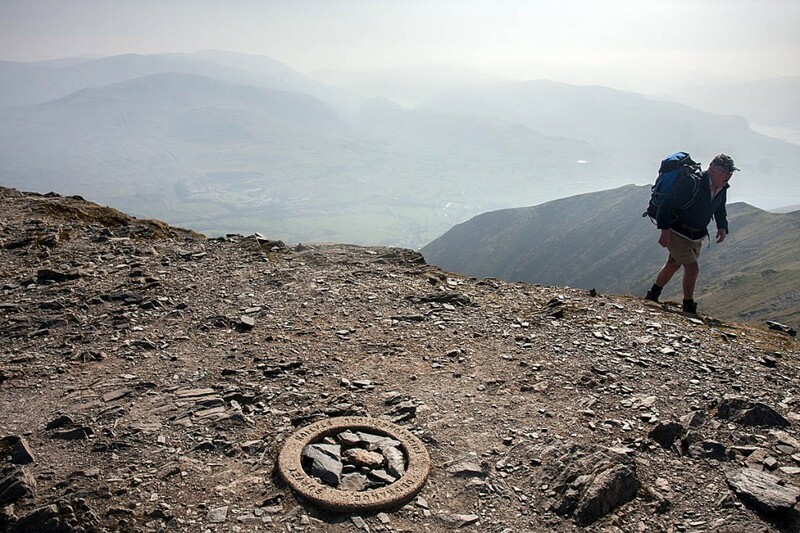 A man is raising funds to replace an Ordnance Survey ring that disappeared from the summit of Blencathra in the Lake District. John Beamson’s appeal is currently two-thirds of the way towards its target of £1,000. He set up a JustGiving page with the aim of having a replica circle made and installed on the 868m (2,848ft) fell. The trig detector ring went missing from its position at the head of Hall’s Fell Ridge on the mountain in August this year. The concrete ring was a low concrete circle about 50cm in diameter, that actually sat on top of a buried block. A spokesman for Ordnance Survey at the time said: “We’re really sorry to hear someone’s stolen a trig detector ring. “This was a phosphor-bronze ring, encased in concrete and buried below surface level over a secondary trig (buried block). “It could be located using a metal detector to aid the finding of the station in areas where a description alone was not enough. At the time of writing, £671 had been raised. Donations can be made via the JustGiving page. Mr Beamson said any funds left over from the appeal would be donated to Keswick Mountain Rescue Team, in whose area Blencathra stands. Ordnance Survey did not respond to grough’s request for a comment. A nice cairn would be more fitting to a mountain of Blencathras stature, rather than a replica OS ring that somebody will probably steal again . I agree with Paul, likely to go again. Needs something but valueless. So sad, nothing is sacred. Seriously, does it really matter? This DOES matter. To those of us who walk and love the Lakeland fells, and take groups up them, it feels like there is something missing. There is literally a hole. There are other organisations who should have done this but John has taken it on and commissioned a craftsman to make the stone, hoping that others will help him pay for it. I will certainly be there when it's fitted on the 1st March. I'm with Patricia, why do we need to mark the tops of our mountains? Trig points have no function nowadays. They are good to have as a land feature when navigating in poor visibility , and providing your on the right hill gives you a good platform to start your descent when taking a bearing, also they are nice to have a picture with .